So? Does this mean I'm balanced? "Will you buy me this gum?” Tania asked. "A hermit eh? Then why's your table set for four?" 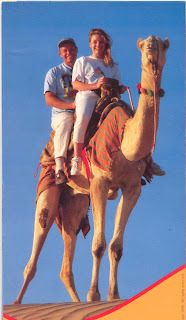 "It is forbidden to ride a camel inside the village,"
Customer service? We've heard of it. 40% + 60% = 100% Right? What is your tribal allegiance?